We may assume that the pair is forming a descending wave (3). On the minor wave level the local correction is taking place. In the future, we can expect the pair to continue moving downwards. 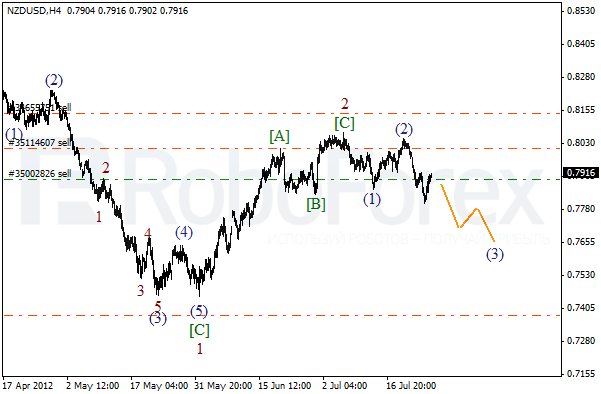 The target is still at the level of 0.7600. More detailed wave structure is shown on the H1 chart. 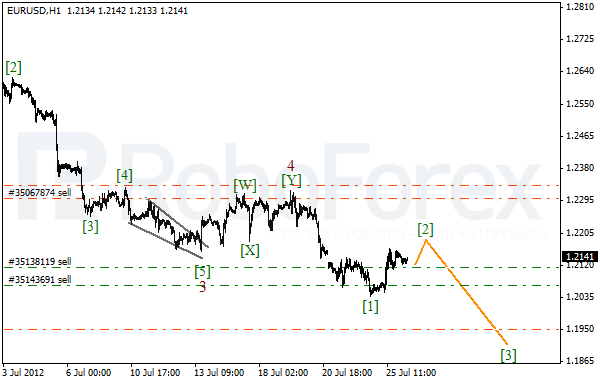 After finishing an impulse in wave 1, the price started the correction. We can expect the pair to complete wave 2 within the next several days and then start forming the third one. 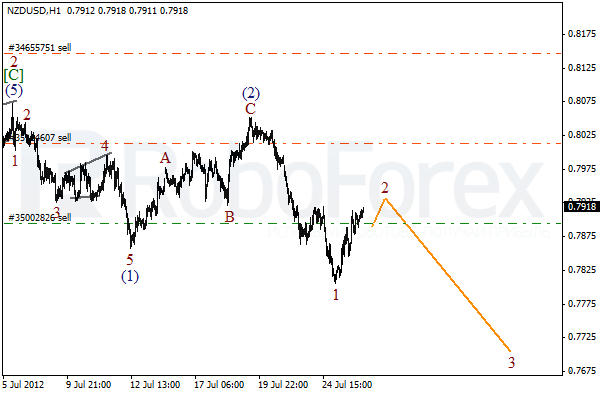 It looks like the price is going to form an extension in wave 5 of (5). The structure of the current movement implies that wave (5) has been already completed, that’s why there is a serious risk that Euro may start a deeper correction. I’ve decided to close almost all sell orders, leaving only three in case the pair continues moving downwards. 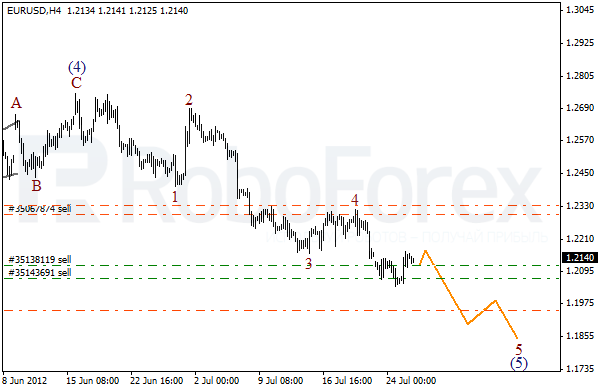 At the H1 chart we can see that the price is forming wave . We can expect the corrective movement to continue for a while in the nearest future, but later the price may start forming a bearish wave .